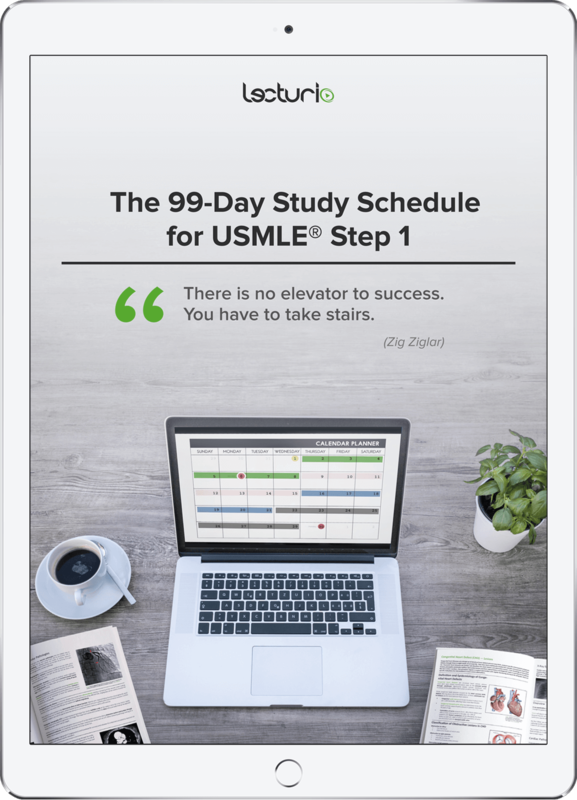 This 99-day intensive study plan will teach you how to structure your time and your study plan to get the most of your dedicated USMLE® study period and dominate the exam. Never settle for low scores. Everyone is capable of great scores if preparation is done the right way. The 99-Day Study Schedule is built around a repetitive cycle of gaining knowledge, then reviewing and applying that knowledge for each subject or organ system. This study plan closely parallels the order and structure of the First Aid® for the USMLE Step 1 book.